As a leading laundry detergent company, we believe we have a responsibility to develop innovative products that help all of us reduce our impact on the environment for a greener, cleaner future. Phosphorus found in laundry detergent, other household products, human and industrial wastes are introduced to waterways, it can have harmful effects. These chemicals are plant nutrients which can cause algae to over populate in waterways, depleting the water of oxygen and harming other aquatic life. The Biozet Attack range is kinder to our environment. They’re formulated with biodegradable surfactants that will break down and can be absorbed back into nature. And they are suitable for cold wash, so you can cut back on electricity use which is always good news for our planet and your energy bills. All Biozet Attack liquid and powder products are low in sodium - an element which can be detrimental to plant physiology by affecting osmotic pressure in plant cells and leading to loss of soil structure. Low levels of sodium are particularly important when wastewater is to be discharged to vegetation or soil absorption areas1. As all Biozet Attack products are low in sodium, they are suitable for use in grey water recycling*. The water from a Biozet Attack fuelled rinse cycle can be manually bucketed onto domestic lawns and gardens making it easier, faster and cheaper to conserve water2. To re-use the household's grey water to the full extent allowed by law, a GTS (grey water treatment system) provides an effective way of recycling water from bathrooms and laundries. Eco-friendly laundry detergents such as Biozet Attack, used in conjunction with water saving washing machines, are the best way to reduce the eco footprint of your laundry. It's the next step towards reduction of household water consumption rates and, ultimately, water conservation. Once a GTS has been installed, a household can use their treated grey water in the garden, toilet and even in the washing machine - minimising the waste of high quality, drinkable water on unnecessary household tasks in a large extent*. Grey water domestic use is an important step forward in the sustainability of our water environment. When it comes to conserving water, every household can make a difference. There are simple actions you and your family can take to recycle grey water in and around your home. Click on the link below for some more information on reusing grey water in your home. Visit www.washwise.org.au for a fresh approach to doing the daily laundry. 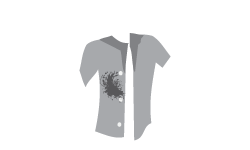 How is Biozet Attack laundry liquid environmentally friendly? 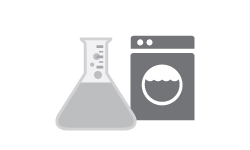 Especially formulated to work in the Quick Wash cycle, it helps you save electricity and water. Cold water suitable, to help you save electricity. Less excess water means less packaging, less transportation, less landfill, less water used in production and overall less impact on our environment. 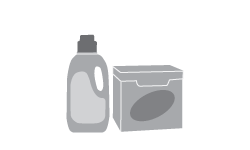 No phosphorus, bleaching agents or added fluorescers, and the surfactants are biodegradable. Grey water & septic tank suitable. * Source: Kao Corporation Japan, Global R&D, Household Products. "Quick Wash" cycle may not save water in all washing machine models. How is Biozet Attack laundry powder environmentally friendly? Biozet Attack can be used in cold or warm water wash - reducing energy consumption. In fact, a higher temperature may have a negative impact on the enzymes performance. It has a biodegradable formula - after washing, the surfactants and enzymes will break down and can be absorbed back into nature. The Biozet Attack Powder range contains no added phosphorus. It’s low in sodium and therefore grey water suitable. The packaging and scoop are made from recyclable materials.